Ezra is using Smore newsletters to spread the word online. what do we have here?? Come to the Aphid Hotel to live in paradise for a week or two. stay in our 5 star rooms stocked with a mini sap bar and leaf beds to rest your heads. Every expense has been thought of to make you as comfortable as you can be. if your hungry come down to our all-you-can-eat buffet filled with an amazing assortment of saps, that's right eat to your little herbivore hearts content and your mouth parts hurt. We have pine, oak, and anything you want! if your worried about your little ones don't we have specially trained ants to watch over them until they hatch. If your getting bored, don't be there's plenty to do! Don't be scarred of the ladybirds attacking we have surrounded the perimeter of the hotel with mesh so they cant get in! and don't worry about sleep, you'll sleep soundly, or should i say soundlessly since you don't make sound. 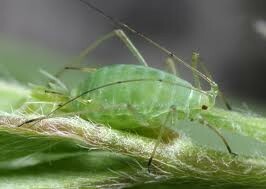 We hope you enjoy your stay here at the Aphid hotel.